This blog is dedicated to all who love food and photography. Yu Zhen Xiao Chu is a new addition to the line of restaurants in Hougang Mall. It is situated on the 2nd level in between Pizza Hut and Ichiban Sushi. As usual, my curiosity led me to try 2 of the dishes shown in their menu. The Hokkien Fried Noodles tasted rather simple and demure. It is not like this Hokkien Mee that you have tasted in the coffee shop where the taste of the prawns and sotongs are very strong. This Hokkien Mee tasted like those plain noodles fried with light sauce. The chef is very considerate to have removed the shell of prawns for easy consumption. 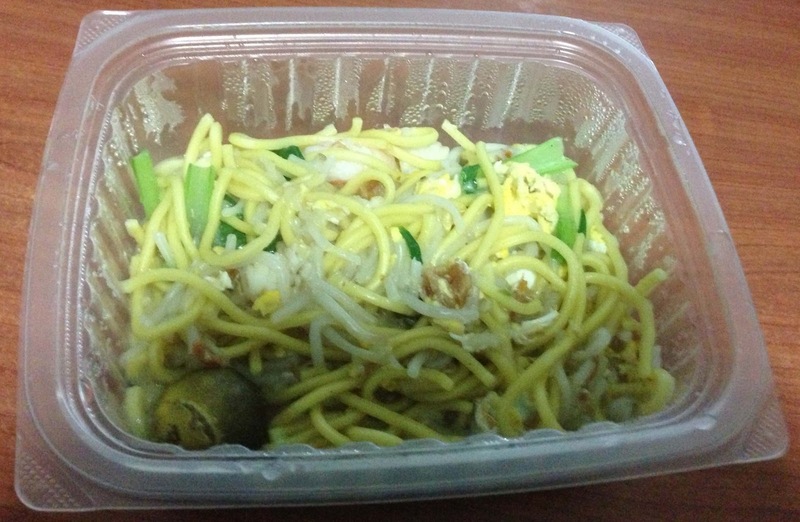 I would say nothing really special about this Hokkien Mee. I have tasted something better. This is my main course, Chilly Crab. As you know, I do not like spicy food and thus I gave the chef an unreasonable request. That is to have a not so spicy chilly crab. Initially the waitress taking the order almost looked stunned. It is almost like order Chicken Rice without the Chicken or Char Kway Teow without the Kway Teow! Well, following the principle that the customer is always right, she passed the instruction to the chef. Together with the chilly crab, I have ordered 10 small deep fried buns. 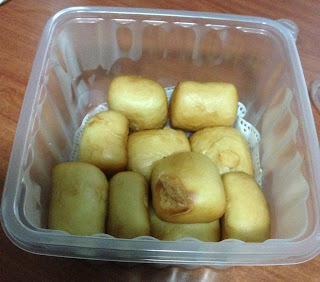 These fried buns are commonly found in all restaurants that sell chilly crab. The chilly crab is really GOOD! It has the taste of the chilly crab and yet not too spicy. I will give many thumbs up for this dish. I believe if he can control the spiciness for me; he is able to cook to your liking. The crab is also delicious and fresh. I will recommend all of you to try out the chilly crab if you are a crab lover. The price is about $30 to $35 for a crab. You can also choose to cook the crab using a different method. The restaurant has eight or more methods of cooking the crab! For the dessert, I have ordered the Mango Pudding, but sadly they forget to give it to me. So I would be going back to eat the pudding next time. So far, the best mango pudding that I have tasted is from Crystal Jade Kitchen. It is too early to conclude whether Yu Zhen Xiao Chu is a worth to visit the restaurant or not as I have not tasted their heavily publicized BBQ seafood. Currently, they have a promotion till 31 Jan 2013 where you will get a 10% discount, no 7% GST and a 1 for 1 dessert promotion. Do come down to the newly open Yu Zhen Xiao Chu at Hougang Mall and try out their food. Do share your feedback with me using the comment link below. Coming soon, I will introduce all of you to a very special chicken that is well loved by a lot of people. You may need to go early to buy the chicken. Do come back for the review soon.